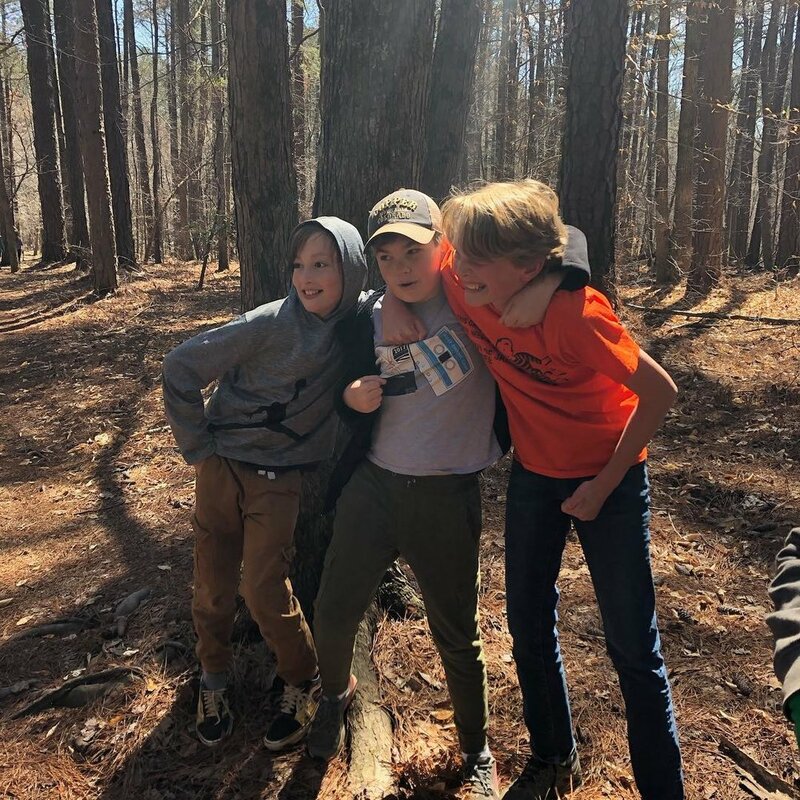 The 5th and 6th grade class had a blast last week on a two-night excursion to Raleigh. Thanks to the meticulous planning of TNCA mom Bridget Felix, this trip was filled with amazing sights, great food, and even a lemur or two! This is the first time this class has made such a trip, and it was a resounding success. On the first day, we visited the Mordecai House, the first house in Raleigh and a fully-functioning residence until the 1960s. The students were amazed at how well preserved the house was and the fascinating stories that came with it. 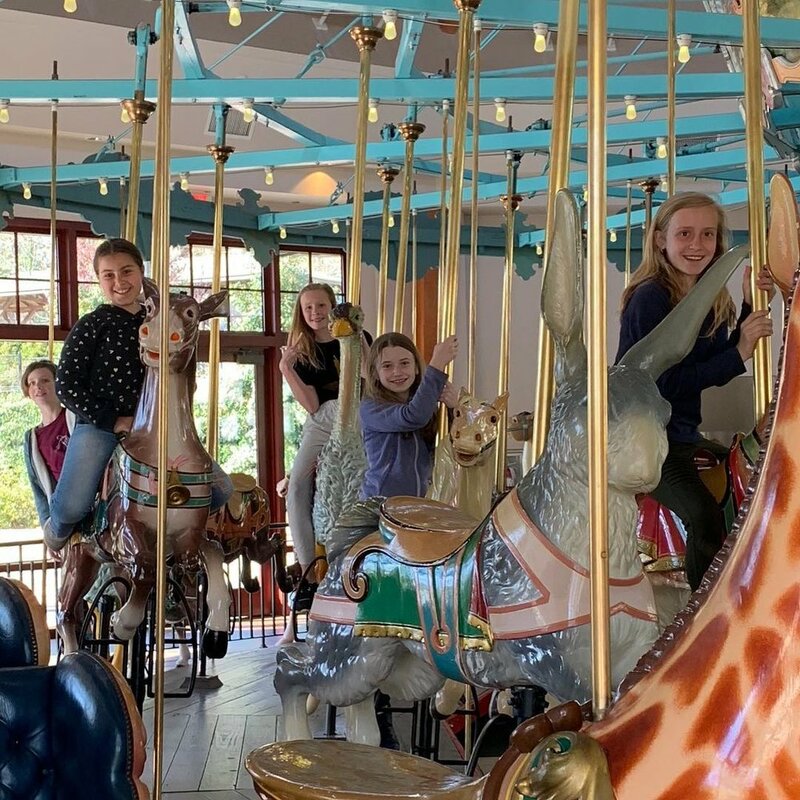 We then had some good old-fashioned fun at Pullen Park, complete with carousel and train rides! The second day we began our adventure at the NC State Capitol, the site of the old NC legislative chambers and current home of the governor’s offices, where we were impressed by the neoclassical Greek architecture. Following this was perhaps the biggest hit, a trip to the Duke Lemur Center! We met some curious lemurs and even entered a darkroom where we able to spot elusive nocturnal lemurs under red light. We then explored other not-to-miss Duke sights, checking out ancient artifacts at the Nasher Museum of Art and catching some sun at Duke Gardens. On the final day, we spent the entire morning at the enormous NC Museum of Natural Sciences. In the numerous exhibits the students were able to experience many of the things they have been studying this year, such as a full-sized model of a Blue Whale and an adorable sloth in the living conservatory! After taking in all the sights, it was time to head home. Beyond visiting these amazing places, the biggest benefit of the trip was the forging of stronger bonds and the gaining of maturity. The 5th and 6th grade years are a major transition period where students are learning to be more independent, and with that independence comes increased responsibility. We trusted students to room by themselves and set their own bedtimes, and also allowed them to handle their own money for snacks and souvenirs. They proved more than capable of this, and had a lot of fun along the way! And not to forget, the adults had a great time as well! Mr. Andy, Ms Kathie, and Mr. Ryan were joined by TNCA moms Maureen Ramey and Leigh Webb, so special thanks to them for being amazing chaperones!